Astronomy: At Play in the Cosmos brings popular science writing to a textbook. 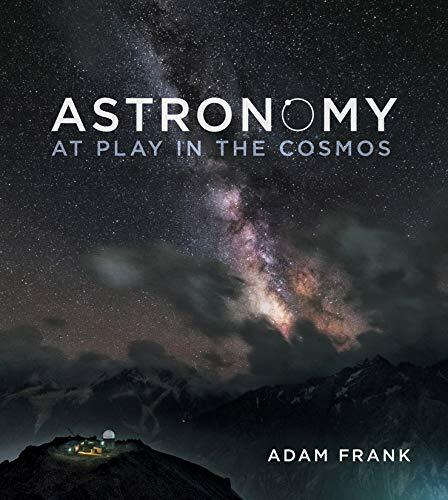 In every chapter, author Adam Frank―a co-writer of the NPR blog “13.7 Cosmos and Culture”―integrates two interviews with leading scientists, a fascinating second voice that drives the narrative while making astronomy feel immediate, relevant, and real for students, and still capturing science’s human nature. Adam Frank is a professor of astrophysics at the University of Rochester. He is a co-founder of NPR’s 13.7: Cosmos and Culture blog and an on-air commentator for All Things Considered. He also served as the science consultant for Marvel Studio’s Dr. Strange. He lives in Rochester, New York.